High on the Side of Mt. 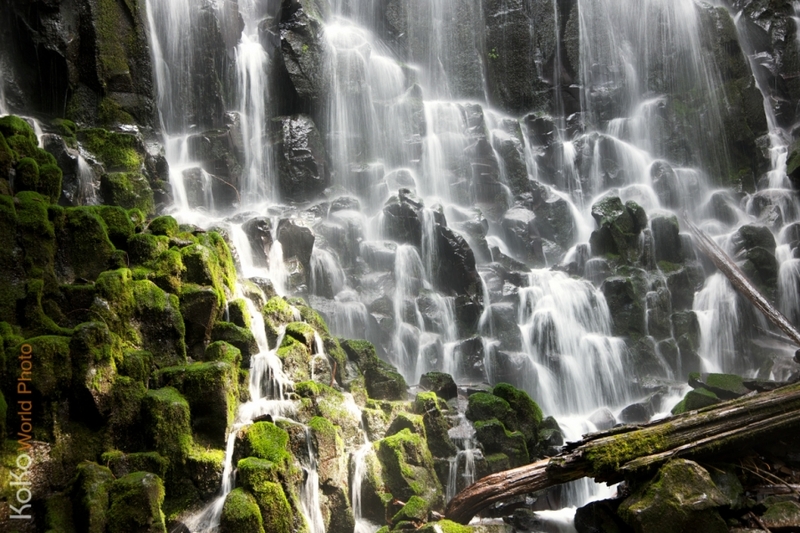 Hood, Ramona Falls hangs like lace over a 120-ft. cliff of columnar basalt. Thousands of years in the making, Ramona Falls was formed by lava flow that cooled slowly and formed into hexagonal shapes that eroded into the stair-like steps that you see today.